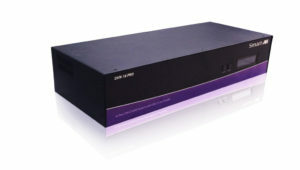 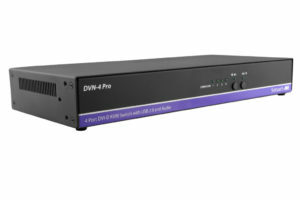 SmartAVI Single-Head DVI KVM Switches make it easy to control multiple systems with single-head DVI connectors using a single KVM controller. 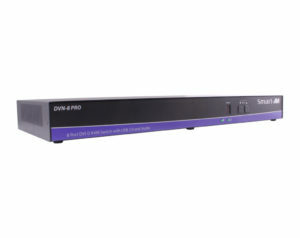 2-Port DVI KVM with stereo audio & microphone support: control two computers keyboard-mouse functions with DVI 1080p HD video. 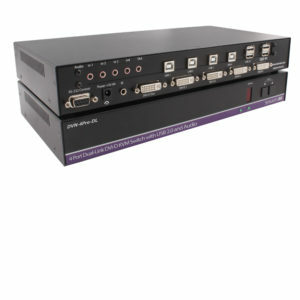 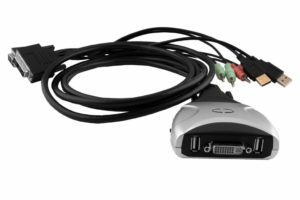 16-port KVM DVI-D video, USB 2.0, and stereo audio switch, for superior emulation on one display up to 20 feet away.